MONDAY- FRIDAY 8 AM - 5 PM. We have extended our hours to better accommodate our patients. Our hours are Monday through Friday 8 AM - 9 PM,Saturday 8 AM - 5 PM, Sundays 1 PM - 5 PM (Hagerstown). Monday - Friday 8 AM - 5 PM (Keedysville). immunotherapy to our patients in the office. You can now access your medical records, send your doctor a question, request a refill through our app labeled Prognosis My Health Record. You will need your username and password which you can obtain them from the receptionist if you haven't been assigned one yet. You will also need our clinic ID which is 735. Welcome! 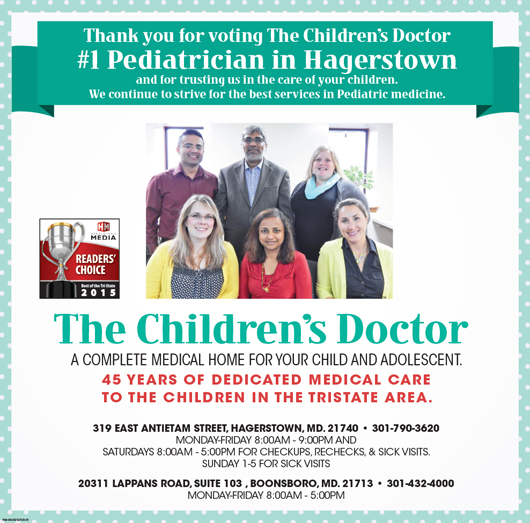 The pediatricians at The Children's Doctor are pleased to welcome you to our practice. 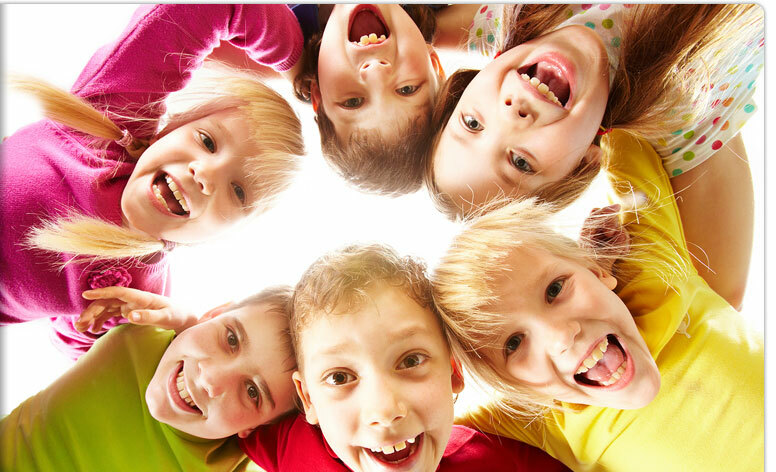 We want all our patients to be informed decision makers and fully understand any health issues your child may face. That's why we've developed a website loaded with valuable information about pediatrics, and children's health problems and treatments. Our website also provides you with the background about our pediatrician(s), staff, office hours. financing policies, appointment procedures, maps, directions to our offices in Hagerstown and Boonsboro and other useful information. We know how hectic life can be and are committed to making our practice convenient and accessible for your family. And we want you to feel confident that when you choose The Children's Doctor as your child's primary caregiver, you're working with professionals who are qualified, experienced and caring. Please take a few moments to look through this site to get a better feel for The Children's Doctor's capabilities and services. We also invite you to email or call either the Hagerstown office or Boonsboro office at any time to request an appointment or ask any questions.